i have always swooned over the super fancy art materials from nova natural but never could bring myself to spend tons of money on them. 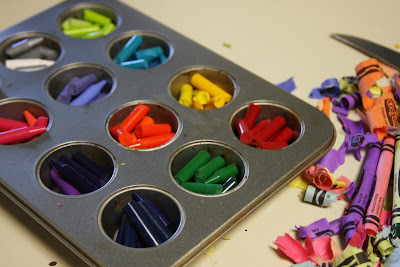 a few weeks ago i saw on some great, creative woman's blog (i am forgetting who now), a crayon melting project that was done just to organize broken crayon pieces laying around their house. light bulb! 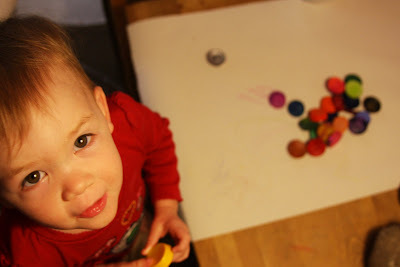 i have always wanted to get block beeswax crayons for hero, but, like i said, never felt like i could/should fork out 12 bucks for a few crayons. so, i bought a 62 pack of crayons for 2 dollars and we went to work. 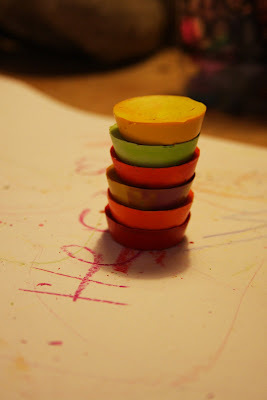 and while these are not yummy smelling beeswax, they are chunky and fun to hold and draw with. and we got a brand new set of coloring tools that we helped to make with our own hands. 2 dollars well spent. 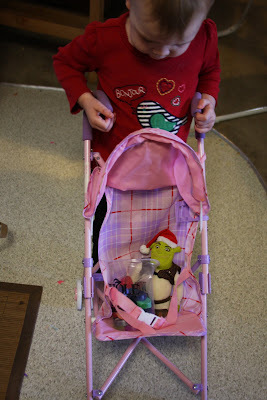 and hero loved them so much that she pushed them around the her santa-shrek in her buggy. what a good color mommy. So funny. 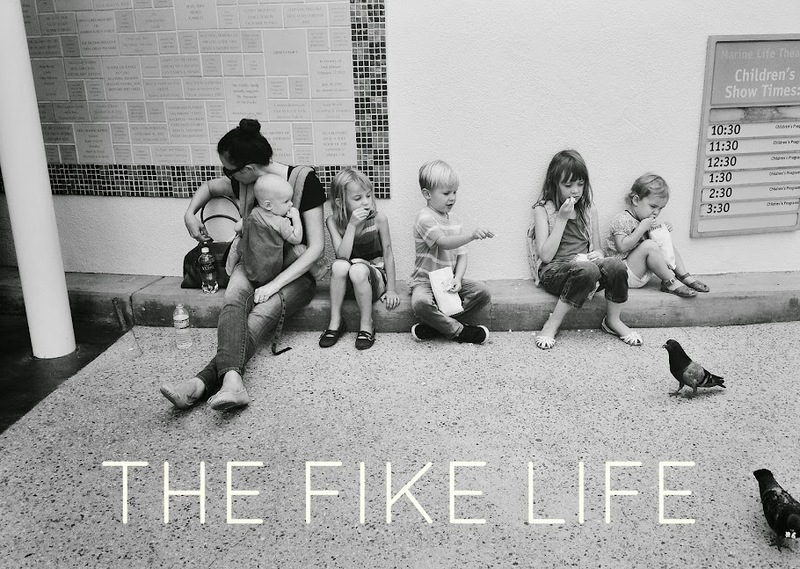 I ended up on your blog right after I was checking out nova natural. So how did you make these? What oven temp and how long and did you put anything in the muffin tins to keep them from sticking? So cool! hi! i just heated up the over to 350 (i totally guessed) and they melted really quickly! i just kept checking on them and as soon as they had melted i pulled them out and put them in the fridge to cool. when they set back up you can pop them out of the tins pretty easily, no non-stick stuff required. that crayon story is so cute!! it totally reminds me of how your mom taught kenny and i how to melt crayons into a "candle"!!! and thank you, we are very very excited... partly because we had been trying and i was actually able to keep track of my "symptoms" and i knew i was pregnant after a week or so... it was SO cool!!! anyways, we're hoping for a boy this time around, but of course healthy is better than any gender!! its going to be a challenge, but i'm not the first woman to do it, so i'm sure i'll have lots of help and advice from friends and relatives!! good idea. I like the chunky crayon. My aunt made these awhile back and melted crayon got everywhere. She made gingerbread man ones too.